The scheme applies to all ‘large enterprises’ this has been interpreted to mean any business employing more than 250 people or with a turnover of greater than €50M per year. It is estimated that more than 9,000 companies in the UK are affected. The scheme requires that regular energy audits are conducted. The first must be completed by December 5th 2015 and then at least every 4 years after that. 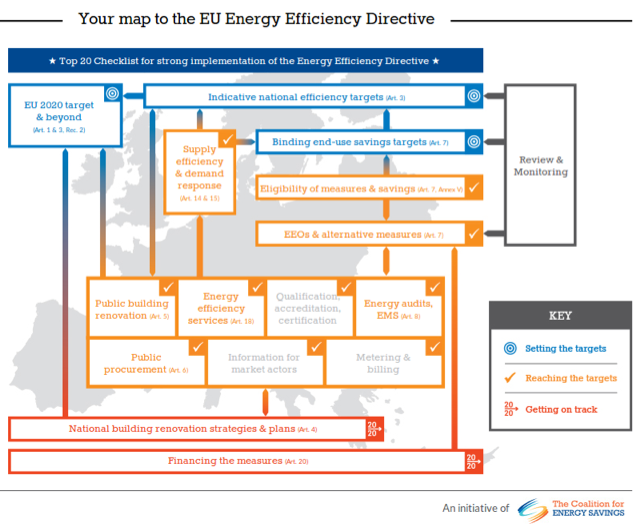 The scheme promotes the adoption of energy efficiency solutions within the businesses audited. The scheme fits within and be complimentary to the existing energy efficiency and climate change legislation and initiatives. The scheme should not be ‘gold plated’ i.e. not put UK businesses at a competitive disadvantage by being overly onerous. What ESOS is really aimed at is encouraging energy efficiency within organisations, and this means savings on energy bills which translate directly onto the bottom line in the form of increased profitability. If you want to find out more about how ESOS will affect your organisation and how we can help you please contact us.